Sometimes you just need to see aliens, robots and humans battle it out. 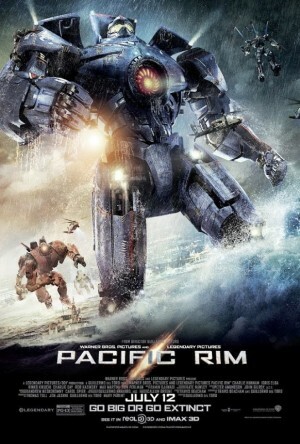 Director Guillermo Del Toro unleashes an apocalyptic onslaught of massive aliens who emerge from the oceans, battled by equally colossal robots piloted by a pair of humans. This big budget blockbuster starring "Sons of Anarchy" rivals Charlie Hunnam and Ron Perlman is rife with extraterrestrial baddies and 'bots.